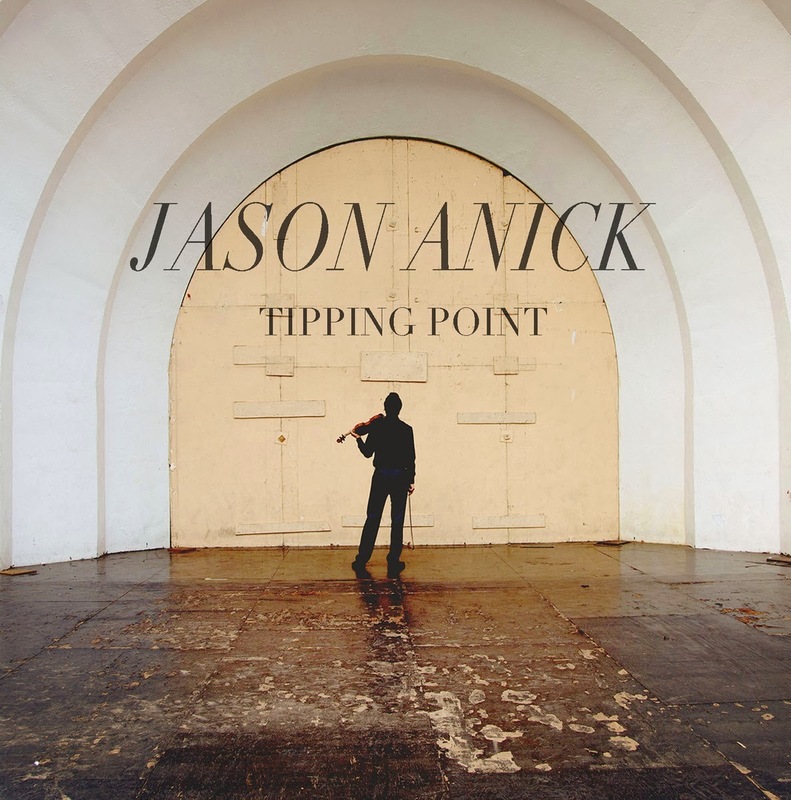 bebop spoken here: CD Review: Jason Anick - Tipping Point. Jason Anick (vln/man); Greg Loughman/Adam Cote (bs); Mike Connors (dms); Jason Yeader/Matt de Champlain (pno); Clay Lyons (alt); Kris Jensen (ten); Lee Dynes (gtr). Isn't it just like the thing? You wait for ages and three come along at once! No, for once I'm not talking about the number 27 bus but jazz violinists. I've extolled the violin virtues of Emma Fisk and rated Tim Kliphuis' tribute CD to Stephane Grappelli, then, lo and behold, this one lands in the passage! Emma and Tim are firmly rooted in the swing era and nobody does it better. Anick, by contrast, is a more contemporary player. Although he throws in Minor Swing, his roots lie in post bop and beyond. His approach is probably nearer Luc-Ponty's and, whilst the Hot Club classic track is ok, I'm sure the other two have a better feel for it. Having said that, ignoring previous versions and judging this on its own merits, it is still an enjoyable track with solos from de Champlain and Cote complementing the leader. Anick scores via his material which, apart from Minor Swing and that most sumptuous ballad - My One and Only Love (ask one of our correspondents about that tune!) which is exquisite - the album includes tracks by Mobley, Silver and Ornette which, although saxophone related, are canon fodder for Anick's facile technique..He soars, he floats, he flies; the tipping point is past! And, as if that wasn't enough, he's a pretty nifty mandolin player too! Jason Anick - Tipping Point. by Magic Fiddle Music is due for release on February 18.